Travelling with Antsa: 10-year paddling project completed !!!! 10-year paddling project completed !!!! The 64 km route to Bogskär lighthouse can be found from here. The next day 50 km open sea crossing back to Kökar archipelago can be found here and the last 18 km stretch back to Sandviken camping from here. On 28th of June 2016 after 2 years planning and waiting suitable weather conditions I finally managed to paddle to the southernmost point of Finland, Bogskär lighthouse islet in the middle of Baltic Sea. Bogskär is surrounded by 40 km open sea and that makes it very hard to paddle safely. There are no shelter at all and constant wind makes the paddling demanding. It was roughly 3 years ago, when I spoke to one of my paddling friend, Jarkko, and ask him to join me in order to paddle to Bogskär island and complete my lighthouse paddling project (altogether 74 lighthouses). 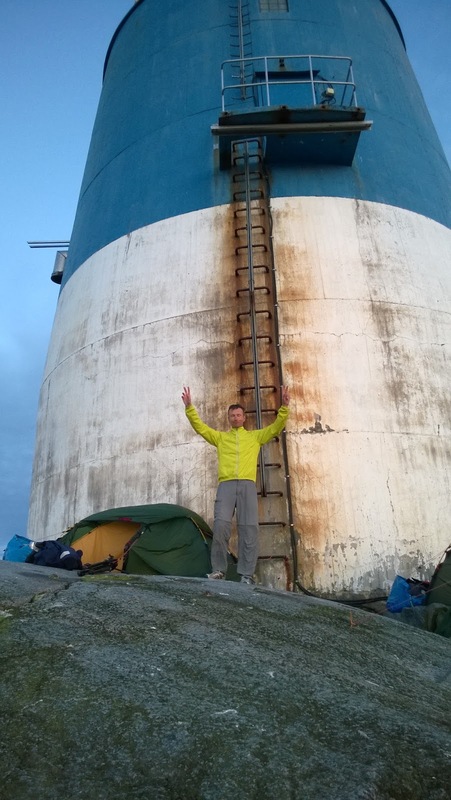 We started planning two years back and recruited third man, Pertti, to join our expedition. During the summer 2015 we were ready to paddle, but due to extremely windy weather conditions we were not able to find a decent period of time, when paddling could be safely done. Quite suddenly after midsummer this year the weather forecast was showing a possible weather - window to accomplish 4 day and 130 km paddling trip. We started to drive 3 kayaks on top of the car from Tampere on Monday morning 27th of June towards Korppoo and Galtby harbor, from where the ferry took us to Kökar archipelago. 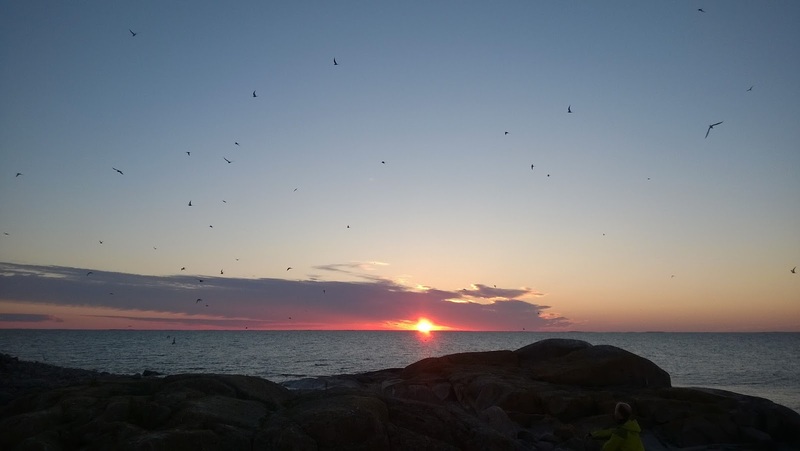 It was 6 PM, when we drove to Sandviken camping and started to pack our kayaks for the evening paddle towards outer small islets on the sea. The headwind was stronger than we expected and instead of planned 25 km paddling we managed to paddle only 7 km just to the next island, Ändör, to the west from Kökar. The terns kept me awake whole night and I was already up at wake-up time 5:30. The wind was calmed during the night and after breakfast we headed towards south-west in a beautiful sunny weather. After three hours paddling we reached outermost islets with huge seal colony. There were hundreds of seals following our kayaks and looking our lunch break at Bredkläpp - islet. The long 40 km crossing started at 11:20 and wind increased to 5 m/s and further gradually up to 8,5 m/s when we finally after 8 hours crossing reached Bogskär lighthouse island. The landing was demanding, but we managed to get ashore and I was extremely happy and tired. 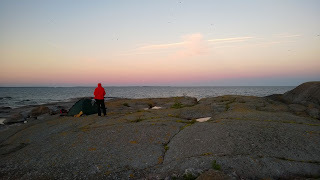 During the long evening we did some filming, had a dinner and pitched our tents next to lighthouse. There were not too many spots where to pitch a tent! 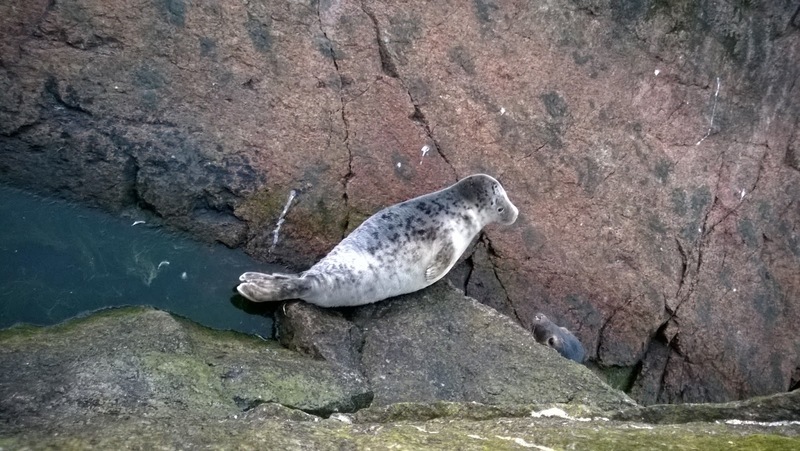 We got a possibility to look at the couple of seals, who were sleeping on the rocks of Bogskär. The wind was calming again during the night and morning showed sunny and calm. Today we headed to North-East and we had a mild tailwind behind us. After 4 km paddling passed Bogskär - daymark island and started a long and exhausting crossing. Finally after 11 hours and 50 km paddling the crossing was over and we reached the southernmost archipelago of Kökar. I was relieved when crossings were over and we had only 18 km paddling tomorrow to Sandviken camping through the archipelago. On Thursday morning 30th of June at 7:30 we started our last leg and paddled on moderate tailwind to camping where we ended our 4 day trip. Back at Sandviken camping, trip is safely over!